“With more than 875 exhibitors covering 275,000 square feet of show floor space, HD Expo 2018 has surpassed the expectations of our partners and attendees,” said Liz Sommerville, group show director for HD Expo. 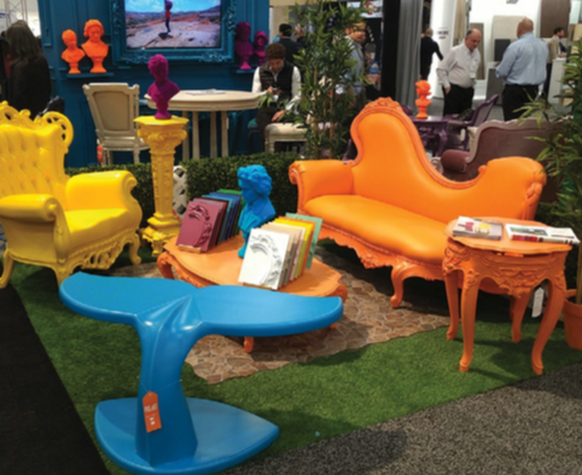 The IIDA/HD Product Design Awards were a show highlight. The Best of Competition winner was KALLISTA for its faucet and cube-shaped handles—a 3D printed fabrication. New to HD Expo 2018 was the HD/Hilton Box Design Challenge, which carried over from a January event that tasked 12 design firms with dreaming up the next iteration of the luxury guestroom—in collaboration with partnering sponsors—in just 24 hours. After a morning of live presentations, an esteemed panel of judges selected one winning concept from Toronto-based Chapi Chapo Design. This concept made its debut on the show floor, and with an infusion of 1920s glamour, was a nod to Hilton’s 100th anniversary celebration. The judges included Queer Eye star and designer Bobby Berk, hotelier Anthony Melchiorri, Larry Traxler and Leo Eskanazi of Hilton, and Alienor Guilhem from Chapi Chapo Design. 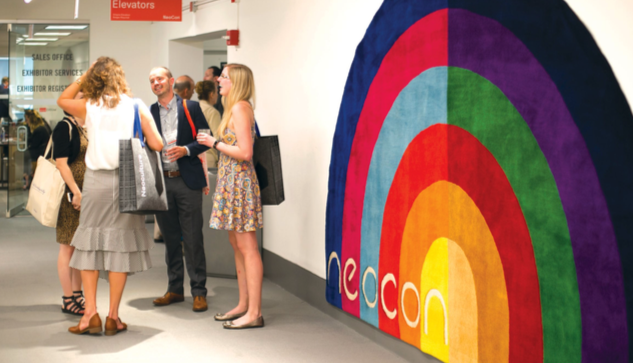 NeoCon, held June 11–13 at The Mart in Chicago, rang in a historic 50 years as the leading platform for commercial design, serving as an incubator and catalyst for the future of the industry. This year’s event further established itself as a launchpad for innovation and thought leadership. Record attendance and increased volume over the duration of the show underscored exactly how important this annual gathering is for members of the industry to come together to share, learn, and inspire one another. Breakthroughs in the fields of sustainability, materiality, integrated technology, and acoustical performance were some of the top trends seen throughout the show. An overall commitment to a softer, more comfort-based approach to workspace design was evident. The movement was further solidified by exciting announcements, including Herman Miller’s acquisition of contemporary Danish furniture brand, Hay, and the Steelcase and West Elm partnership—set to provide a more expansive array of workplace furniture. A marked yet diverse focus on wellbeing in the workplace also took center stage. From privacy solutions to biophilic design, workplace solutions exhibited a people-centric approach. 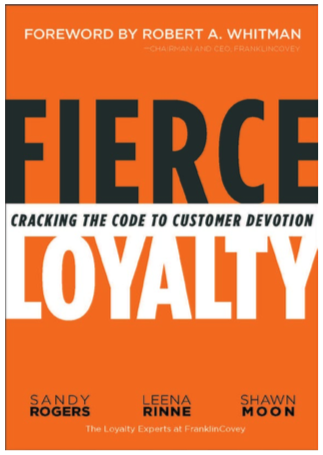 To thrive in today’s economy, it’s not enough for customers merely to like you. They have to love you. Win their hearts and they will not only purchase more—they’ll talk you up to everyone they know. But what turns casual customers into passionate promoters? What makes people stick with you for the long haul? Sandy Rogers, Leena Rinne, and Shawn Moon. helping large multi-unit operators in retail, healthcare, grocery, food service, lodging, and financial services to accelerate growth through increased customer and employee loyalty. • Rinne is FranklinCovey’s vice president of consulting, currently in her seventh year with FranklinCovey. Rinne was part of the innovation team that developed FranklinCovey's core productivity solution, The 5 Choices. 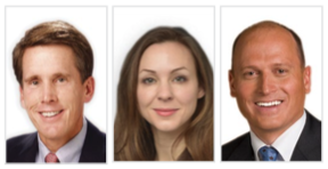 decades of experience in leadership and management, sales and marketing, program development, and consulting services. His deep knowledge and robust experience inspire others to become leaders through personal effectiveness and execution.